Care home owners will become more accountable for their services under a new law to strengthen the protection of children and adults and improve the quality of care and support in Wales, the Welsh Government has announced. The Regulation and Inspection of Social Care (Wales) Bill, being introduced before the National Assembly for Wales by Health and Social Services Minister Mark Drakeford today (Tuesday February 24), will put delivering success at the heart of a revised and streamlined legal framework for the regulation and inspection of care and support in Wales. It will also ensure no service escapes the regulatory regime. In Wales, the latest figures show there are 1,780 regulated social care and support settings which fall within the scope of the current regulatory regime. More than 70,000 staff work in the sector. The Bill is part of the Welsh Government’s Sustainable Social Services for Wales: A Framework for Action programme to transform the provision of care and support for the citizens of Wales. It complements the Social Services and Well-being (Wales) Act 2014, which focuses on a model of care and support which has the citizen at its heart and is based on the concept of wellbeing and improved outcomes for people. The Bill rebalances accountability in the social care system, away from just those working on the frontline to ensure employers and company owners and directors also share the responsibilities in law. Each service provider will be required to designate an owner or board member as a ‘responsible individual’ as part of their registration, ensuring a clear line of sight from the boardroom to the frontline. It will also introduce a new model of regulation, which will allow regulators to press for improvement across one care setting site or across a provider’s entire range of services – including care homes - if deemed necessary. It will make it easier for the regulator to act where care is considered beyond repair and, if necessary, cancel the registration of those providers, services and settings which fail to implement improvements. It also includes stronger penalties for certain offences. · Reconstitute the Care Council for Wales as Social Care Wales. This is a step change for the social care sector in Wales and for the first time will combine responsibility for workforce regulation, workforce development and service improvement within one body. 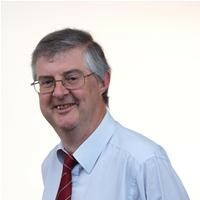 Health Minister Mark Drakeford, pictured, said: “The delivery of social care has changed significantly over the last 15 years with far greater numbers of people being cared for in the community. People living in residential care also have more complex health and care needs than they did 15 years ago. “The foundation of our social services has been transformed through our Social Services and Well-being Act, and the system of regulation now needs to change to reflect this. “We have learned lessons from Southern Cross, Mid Staffs, Winterbourne Operation Jasmine and other scandals where people being cared for were badly let down by services. We need to ensure our regulation regime reflects modern practice and the ever-changing world of social care. “High-quality care and support is about more than just meeting essential needs and minimum standards – it is about understanding the impact which these services have on people’s lives and on their wellbeing. “This new Bill is the next step in ensuring social services in Wales are sustainable and fit for the future. It will, if passed, create a regulation system geared to support success, not simply to identify failure. But where failure is identified, it will speed up the regulatory response. Our approach will be to regulate for improvement and success. The Regulation and Inspection of Social Care (Wales) Bill, which is the final primary legislative step in this process, will give people a stronger voice and more control over their care and will shift to measuring the expectations of and outcomes for the citizen.